Two entrepreneurs are inspiring local moms to take control of their financial future by starting their own businesses. That’s how Jasmine Simms introduces herself when she does presentations and media interviews about her success as the owner of Scrub Nail Boutique, an award-winning salon in Fells Point known for its personalized service and innovative marketing strategie, such as “Scrub Club” memberships that encourage busy women commit to self-care amidst the chaos of everyday life. Now Simms is taking that concept to new heights as co-founder of MAE Academy. MAE (pronounced m-ah!) stands for “Moms as Entrepreneurs,” a brand she co-founded with friend and fellow lady boss Tamirra Lucas, a business consultant/coach and founder of Ryan’s Closet, a kids hair accessory line she named after her daughter (who was “follically challenged” during her first few years). The duo has already launched successful podcast and conference. 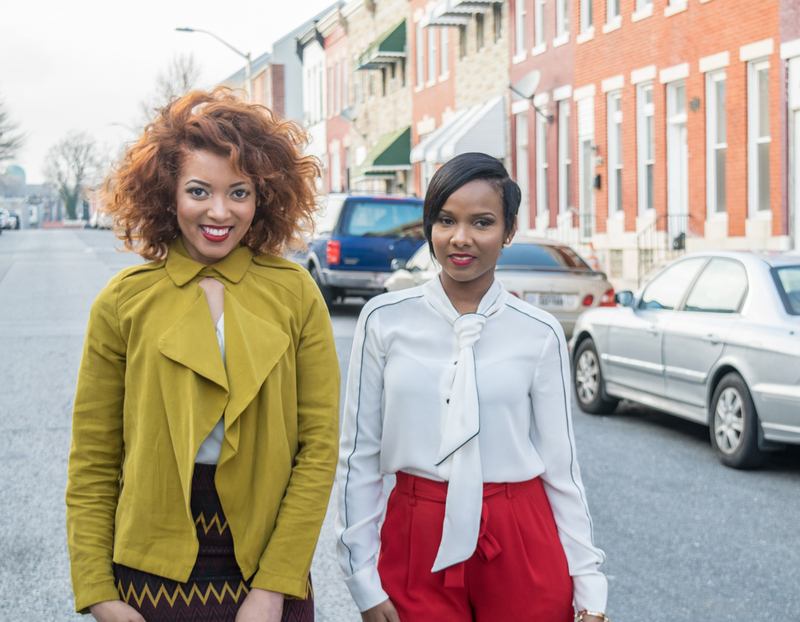 Now, they’re looking to reinvest in the West Baltimore community where they both grew up by offering an 8-week course to teach low-income women in Penn North how to start their own businesses–ultimately creating their own job security and owning their vision. Even when you work for yourself, you need fire and desire. Lucas teaches business courses at Coppin State University and says the first two weeks of the MAE program will focus on start-up fundamentals and the entrepreneurial mindset, then shift to helping each mom nail down a business idea she’s truly passionate about.